Neptune in the First House may indicate that your imaginative and spiritual potential manifests through innate psychic gifts and a sensitive, gentle and intuitive personality. Your visionary and idealistic trend of mind draws inspiration from dreams, contemplation, meditation and powerful emotions. At times you will experience weird feelings, thoughts and emotions - a mediumistic ability allows you to either consciously or unconsciously take on the conditions of your immediate surroundings and tune in to those with whom you come in contact. You are likely to be attracted to peculiar people, psychic centres and mysterious, strange places. You are artistic, very romantic and have a love for beauty in form, colour and sound. On occasion you can be weak, indolent, confused, impractical and dreamy. Neptune in the Fourth House indicates that your imaginative and spiritual potential may manifest through conditions within the home environment. There may be strong emotional or subconscious bonds between family members - cultural, religious or spiritual training may be an important part of home life. On another level there can be something strange, secret or peculiar regarding your home environment, family, or domestic life. Neptune in the Sixth House may indicate that your imaginative and spiritual potential will manifest through work, service and self-sacrifice - possibly in seclusion. Diet and health matters are stressed - neglect could lead to severe sickness that is difficult to diagnose and treat. You may become interested in spiritual healing, health foods and natural cures. On occasion, an impracticable and unrealistic approach to work may bring problems. Neptune in the Seventh House indicates that your imaginative and spiritual potential may manifest through marriage, close relationships or partnerships. Often a perfect marriage is indicated or spiritual inspiration through your partner. Conversely, there may be something strange, secret, confusing or mysterious regarding your marriage - possibly two unions or some scandal connected to partnerships. 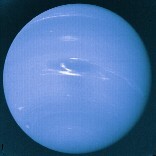 Neptune in the Eighth House may indicate that your imaginative and spiritual potential may manifest through innate psychic abilities and an interest in occult teachings, spiritualism and other mystical subjects. You may gain knowledge through an ability to enter upon the spirit planes - expect some strange psychical and dream experiences. On a more mundane level it is probable that, at times, strange financial situations will cause you worry and confusion. Conversely, you may gain in a peculiar manner through others and possibly through your partner. Neptune in the Tenth House may indicate that your imaginative and spiritual potential will manifest through your chosen social position in the world. You possess a highly inspirational nature, capable of attaining honour or position through some unique achievement. Your professional life could be enclosed within a spiritual framework such as ministers, spiritual teachers and psychiatrists or within an institutional environment such as in hospitals, asylums or prisons. On occasion, you will tend to lose direction life and withdraw from work to seek seclusion and direction - possibly as prelude to a change of career. Neptune in the Twelfth House may indicate that your imaginative and spiritual potential will manifest through an inner need for spiritual knowledge. This position gives a link to subconscious and psychic forces - you are likely to become involved with psychical research and occult investigations. Perhaps through secret, secluded and quiet methods, spiritual wisdom could be achieved. At times you may suffer from vague fears, weird apprehension and secret sorrows.